A distinguished Ossetian athlete, free-style wrestler. He was born on April 21, 1952 in Vladikavkaz, North Ossetia. His father, Piotr Akhmetovich Andiev has been called, “The biggest man in Caucasus”. Standing tall at 218 cm (7’3) and weighing in at 135 kg, he was a good wrestler and an extremely strong man. Therefore nature blessed Soslan with all the physical qualities he needed in order to succeed in sports. A tall, slim, powerful and very prudent guy, he won his first National Cadets’ Championship at the age of 17. A year later, Soslan Andiev became a Cadets’ World Champion. He worked hard to obtain more power and to further sophisticate his wrestling techniques. By the age of 20, he was 198 cm (6’8) tall and weighed 112 kg. At the 1972 Olympics in Munich, legendary Alexander Medved won his third Olympic gold medal and after kissing the wrestling mats announced his retirement…The era of Soslan Andiev had just begun. In 1973 one after another, he won the USSR National Championship, World Cup and then World Championship in Teheran. 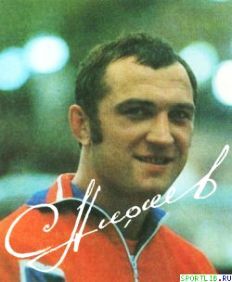 By the time of the 1976 Olympics in Montreal, Soslan Andiev was already the four time Champion of the USSR and two time World Champion. Although it wasn’t going to come easily, there was no doubt that he was going to get the gold medal. In Montreal, Andiev won all 6 matches, including four of them ahead of time by touch. 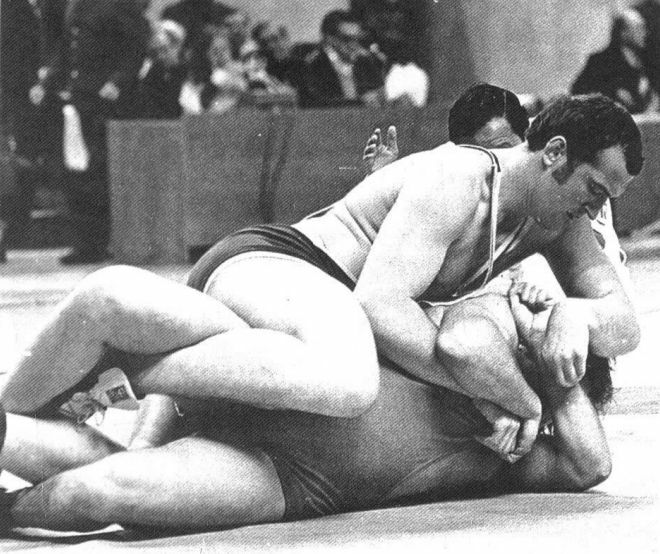 Showing excellent wrestling technique, outstanding physical power, ambition and a great will to win, he became the first Ossetian Olympic Champion. It was a distinguished achievement for Ossetian sports and the free-style wrestling school. Prior to the Olympics, in March 1973, at the World Cup competitions in Toledo, (USA), the final match between the teams of USSR and USA wasn’t going as successful for the Soviets as usual. The decisive match came down to the last medal between the heavy weight wrestlers: Soslan Andiev and American giant Kriss Taylor. It looked like a fight between David and Goliath. Weighing twice of as much as Andiev (220 kg), Taylor moved forward like a tank. Fans cheered in awe as Soslan tried to grab Kriss’s chest, but didn’t quite succeed. Then Taylor made an attempt to trip Soslans leg. But as a counter move Soslan started “twisting” him. And then something unbelievable happened. The “mountain” slowly went down on the mats. Some more seconds and Andiev would seal Taylor’s shoulder-blades to the mats. But nevertheless it was a victory, his personal victory and the Soviet team’s victory as well. 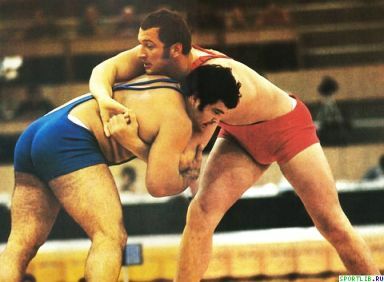 At the Olympics of 1980, he was already a captain of the Soviet free-style wrestling team. And he did not let them down. Soslan won all five matches, and became an Olympic champion for the second time. Due to his numerous victories at the World and European championships, World Cups and more than a dozen prestigious world competitions, Andiev earned great respect and pride from all Ossetains and sport fans all over Russia. He was honored with 3 soviet orders as well as with the Gold Order of the International Wrestling Federation (FILA). He was elected a member of the Council of Russian Olympic Committee. In 1974 he graduated from the Gorsky State University, majoring in economics. During the several years in 1990’s he was Minister of Sports of North Ossetia. Presently he is an Advisor to the President of Republic of North Ossetia-Alania. 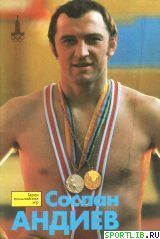 One of the best soviet athlets of 1970-80th, Soslan Andiev passed away on November 22, 2018 in hospital in Moscow.